Happy New Year everyone! It’s THAT time of year, the time when most people are making resolutions, promises to themselves they will never keep. Odds are against them. According to Statisticbrain.com, only 8% of people are successful in achieving their New Year’s resolutions. What does the word resolution actually mean? One definition of resolution is, a firm decision to do something. Basically, a resolution is a decision, you DECIDE you want to do something. However, if you stop there, with a resolution, you won’t get far. What is the difference between a resolution and a goal? The definition of a goal is, something that somebody wants to achieve. Personally, I see a big difference here. A resolution is a decision, and a goal is something to achieve. If you make a decision without a goal in mind, you won’t get far. Anybody can make a decision, but without a goal or an idea in mind for what you want to achieve, you will end up giving up before you get started. In the past, I have made New Year’s resolutions, and I have set goals. Guess which have been more successful for me? That’s what this blog post is all about. Setting GOALS for 2013 rather than just resolutions. I’m not saying there is anything wrong with making resolutions. What I’m saying is, if you want to keep those resolutions you need to pair them with goals. I know I’m not the first or the last person to say this, but if you want to keep your resolutions, you need to have an end goal in mind. SPECIFIC, measurable goals! This is only part of the story though. In addition to setting specific, measurable goals, you need to break each goal into steps to take in order to achieve said goals. 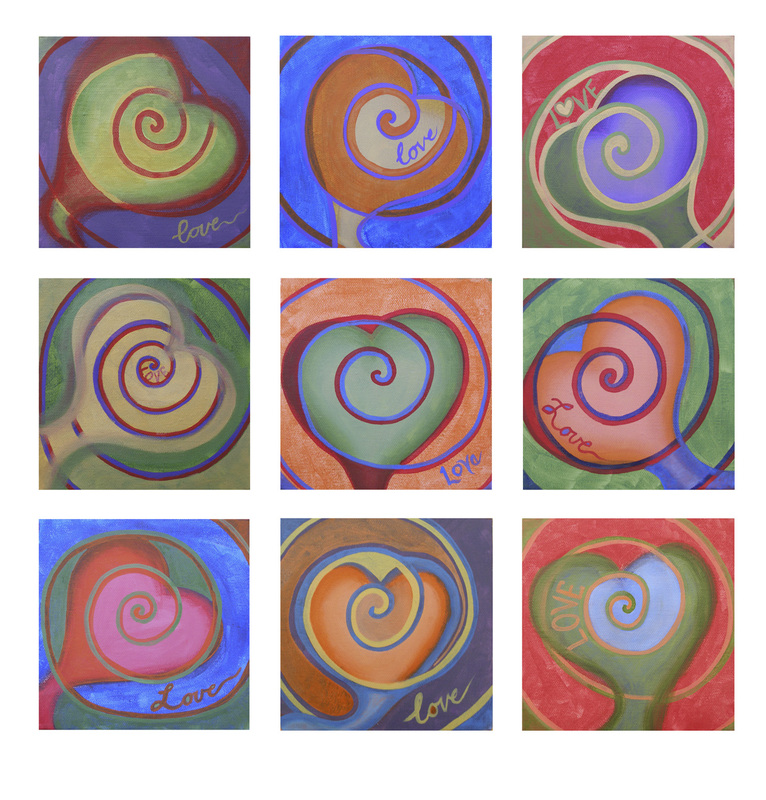 First, I make a DECISION, ie, “I will sell more of my art prints in 2013”. Second, I set a goal, ie, “I will place my art prints into several shops/galleries/gift stores during 2013, therefore increasing the chances that more of my art prints will sell”. 1. Create a portfolio/catalog of my print images so I have something to show shop/gallery owners. I will create both an online and physical version. 2. Make a list of different shops/galleries I think my art would do well in. This requires research, going out in person in my area or looking online at different shop/gallery websites. I gather the contact information from each place and make a database. 3. Contact shops/galleries on my list by email with links to my online catalog/portfolio and mention that I have been to their shop/gallery and feel my art would be a good fit. 4. Within a week or so of sending emails (if I haven’t already heard from them), I call the shop/gallery and ask about making an appointment to speak with them about placing my prints for sale in their shop/gallery. 5. Once I have the appointment, I show up ON TIME with my physical portfolio and a few print samples in hand. I am dressed professionally and I act in a polite, friendly manner. I will have a business card/postcard and a sample mini print to leave with them for their files. 6. The shop/gallery owner is so impressed with my art prints, they place an order on the spot and either buy the prints at my wholesale price or place the prints on consignment in their store. Sometimes, steps 4 and 5 will be skipped because the shop will contact me directly from the email and place an order. This is how I do it. You may have another process, and that is fine, the most important thing is setting GOALS and breaking each goal into STEPS. Now you know what my biggest goal is for this year! What goals have YOU set for yourself this year? I would love to hear your feedback and suggestions, please feel free to leave a comment. Happy New Year, may 2013 be all you hope for and MORE! Just inventoried and listed a bunch of my earlier prints in my Etsy shop. Follow the link below to see/get them while you still can. All the prints in this section of my shop are down to 3 or less and no more will be made. I will be adding more listings during the next week or so. Please check it out, don’t miss your last chance to have some of my most popular art prints!